Hello, my name is Tonya, my friends call me T. I know, it’s different, it used to be TJ. I feel too old for the TJ. I am an Artist first and foremost. Current job is in Customer Service and an Avon Independent Rep. 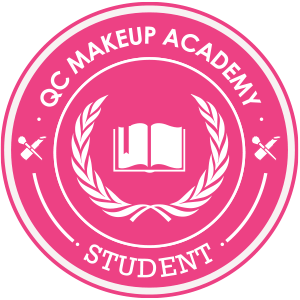 I am also a getting my Master Make Up Artistry Certificate with QC Makeup Academy. I am combining the two so that I can show the beauty of what is inside every person, and bring it to the surface so that their outer beauty shows as well. I am a mother, a grandmother and a wife. I am a creative artist, so Avon and the Make Up Artist is a great combination for me. A lot of my family and friends say that it is so me and my calling. I hope that it is. I have loved using Avon and make up since I was a little girl. I hope that everyone will enjoy my post on the products, how well the anti-aging products work. I will take before and after images of me. I will also show some images of me putting on my face for the day and tell you what shades I used. I hope that people enjoy the actual images I share and my insight on my daily post. I will be showing you looks from many different brands including Avon but not exclusively Avon products. I love many brands and use many brands, but I also have my tried and true ones that I personally like to use on myself that is Avon. But then I have my brands that I have to order online or go to Ulta and get my goodies there as well.